This was a great year for Peppers; they produced fruit all summer long. 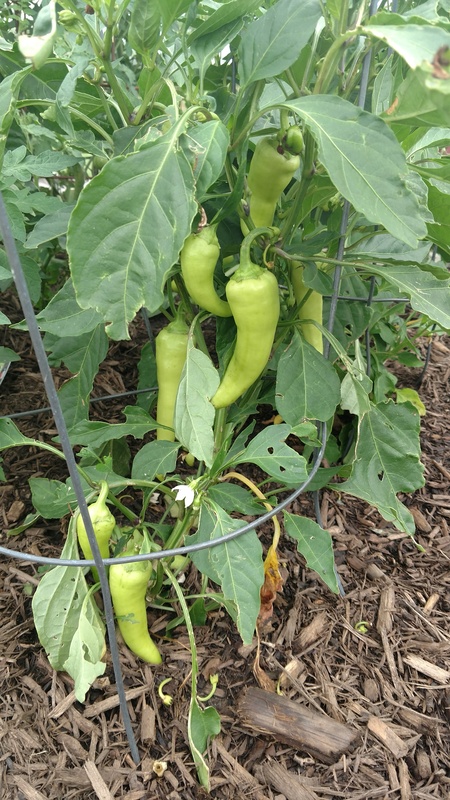 These banana peppers started producing in early June, with many fruit produced in July and early August. The number of peppers harvested has decreased, but the plants continue to produce. Peppers are nutritious and can be used for cooking many different foods. We add peppers to dishes that we also add onions. Peppers have a number of nutrients, including vitamin C. Peppers can also be added with other veggies for fermentation. These can be stored at room temperature for about a week, or in the refrigerator for several weeks, or dried in a dehydrator. The dried peppers last at least a year.